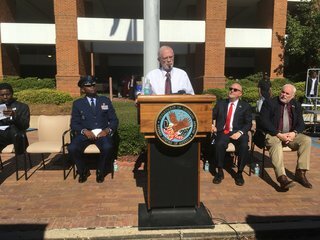 Stories of bravery and sacrifice highlight a Veteran's Day celebration recognizing "Wall of Honor" Inductees at the VA Medical Center in Jackson. Veterans, their families and friends are here at the G.V. 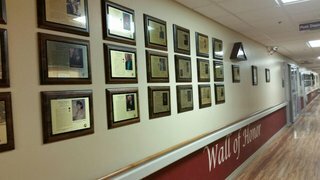 Sonny Montgomery VA Medical Center to celebrate Veteran's Day and honor four inductees into its "Wall of Honor." Center Director David Walker. "From World War II all the way up to Iraq, basically the values, the integrity, the sacrifice that's the red thread or the theme that's woven through this," said Walker. 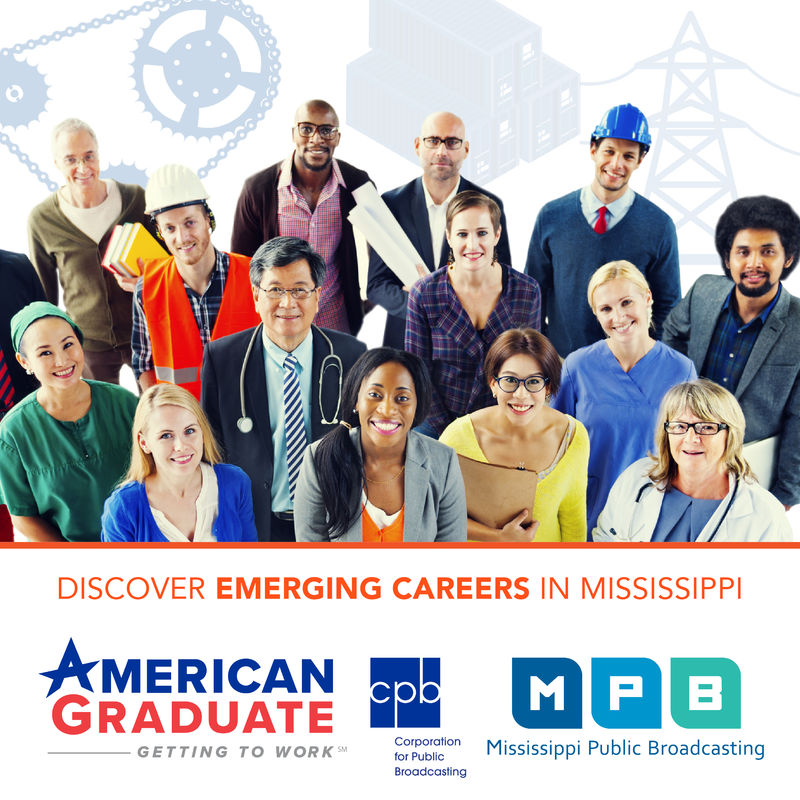 The honorees include Sonny Montgomery of Meridian, the U.S. Army veteran the medical center is named after. He later became a U.S. Congressman. Montgomery died in 2006. Rass Wilkerson, of Clinton, was in the U.S. Navy and saved many lives during a World War II ship attack. He passed away over the weekend. He was 103. U.S. Navy Veteran and Ex-POW Rodney Duke, the guest speaker, urged listners not to take America's freedoms for granted. He was tortured by North Koreans when his spy ship was captured in 1968. U.S. Navy Vet. Rodney Duke "I would go through it again for you, for every one of you. I would gladly die for your freedom. It's not about me. It's about all of us and what we have in America," said Duke. 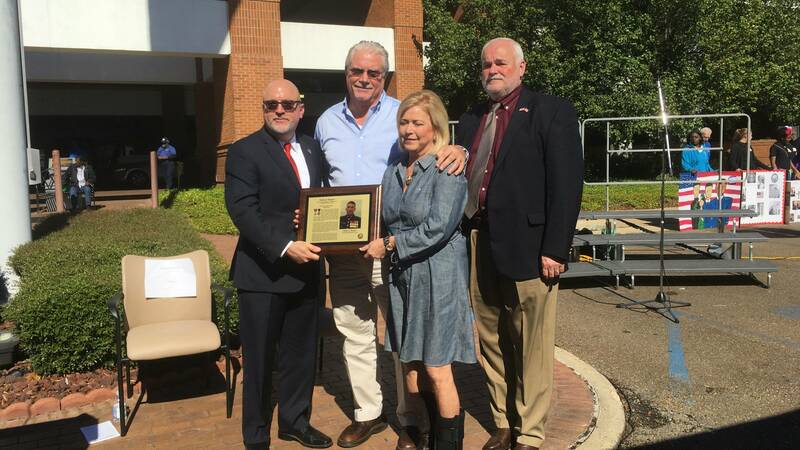 Jenny Smith's son, U.S. Marine Staff Sergeant Jason A. Rogers, was also an inductee. The Brandon native was killed in Afghanistan helping wounded Marines in 2011. "It's just breathtaking. It's means so much to our family. I just don't know what to say. It means so much," said Smith. Finally, Billy Wince Sr. of Vicksburg, a U.S. Air Force Vietnam veteran inductee, has helped more than 8,000 veterans with obtaining medical treatment and filing claims. Twenty-five veterans are now on the Wall of Honor.